It is good to see you all here. To the project team, other local Government members, those who worked on the project, and members of the community, it is a very special day for Devonport. The opening of this building takes us to the next stage in the development of the City, and one that's been aspired to for a long, long time. 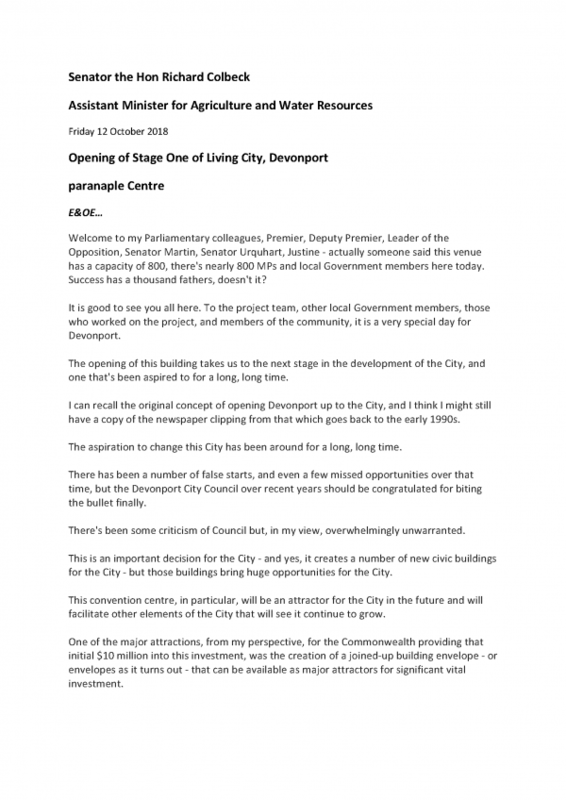 I can recall the original concept of opening Devonport up to the City, and I think I might still have a copy of the newspaper clipping from that which goes back to the early 1990s. The debt agreement system is an important part of Australia's consumer finance framework. For many debtors, a debt agreement is the final option to avoid bankruptcy. The debt agreement system gives those in financial difficulty an opportunity to protect their family home and take control of their finances. As I said last night, I think you probably pay moreexcise on one smoke now than I paid for that one packet that I bought when I was a lot younger. 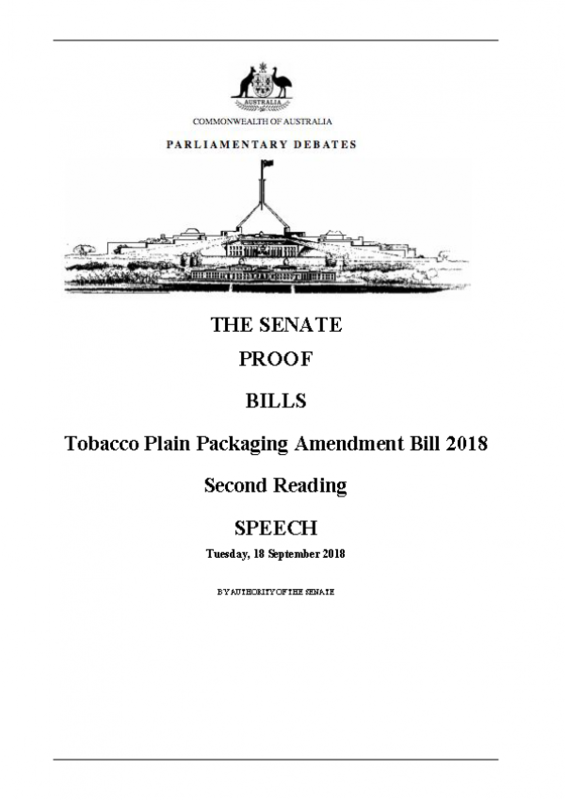 I was making some remarks around initiatives that have been put in place over a period of time around tobacco and tobacco campaigns and, in particular, responding to a comment made by Senator O'Neill that there weren't any current campaigns running. Let's not be shy about this. 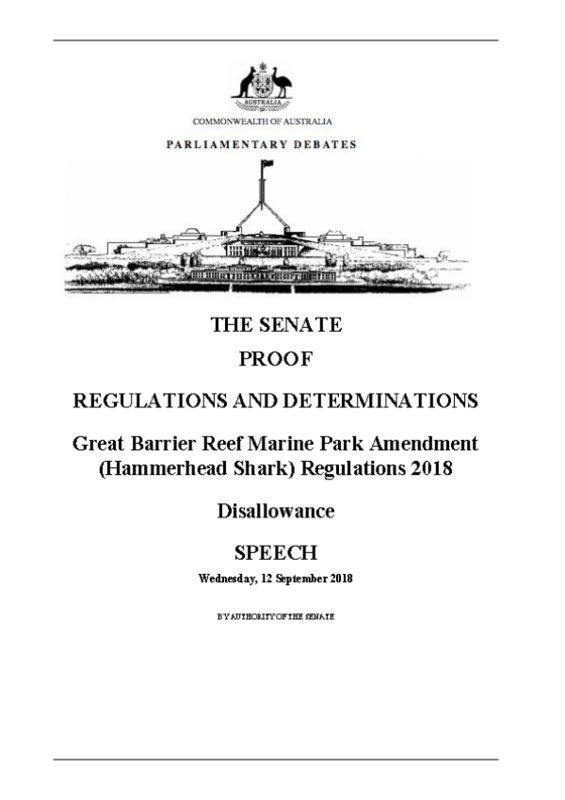 Senator Whish-Wilson's motion is just about stopping fishing. That's all it's about. of his argument, is not science. The government, over our two and a bit terms of parliament, have been focused on delivering economic returns for the Australian people, and we've been successful. I too would like to associate myself with remarks celebrating the 75th anniversary of the election of Dame Enid Lyons to the House of Representatives. There has been a lot spoken about the way that Dame Enid conducted herself, the separation that she suffered from her husband, Joe, and the difficulties that she faced as a woman at that particular point in time. 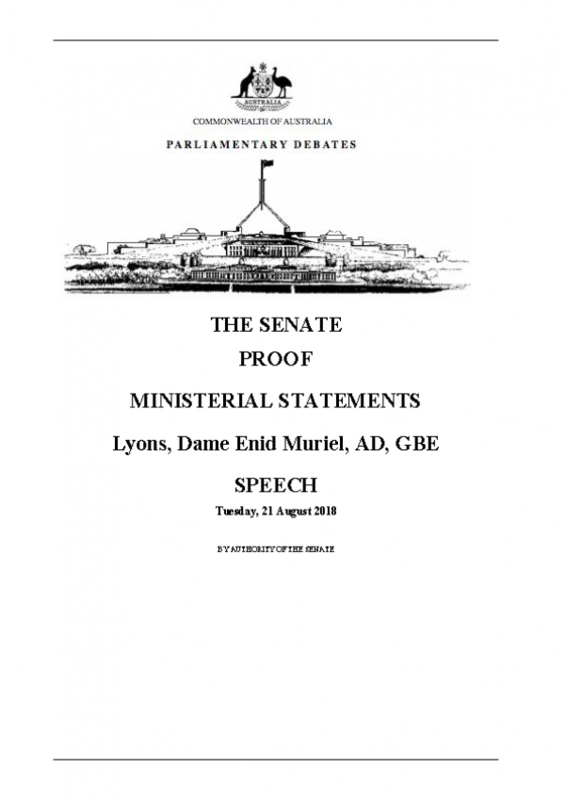 I think the first speech that we heard here this evening indicates how far we've come from the time when Dame Enid made such a spectacular entry into the Australian parliament. Australia, as a nation, needs a competitive tax regime for all business. 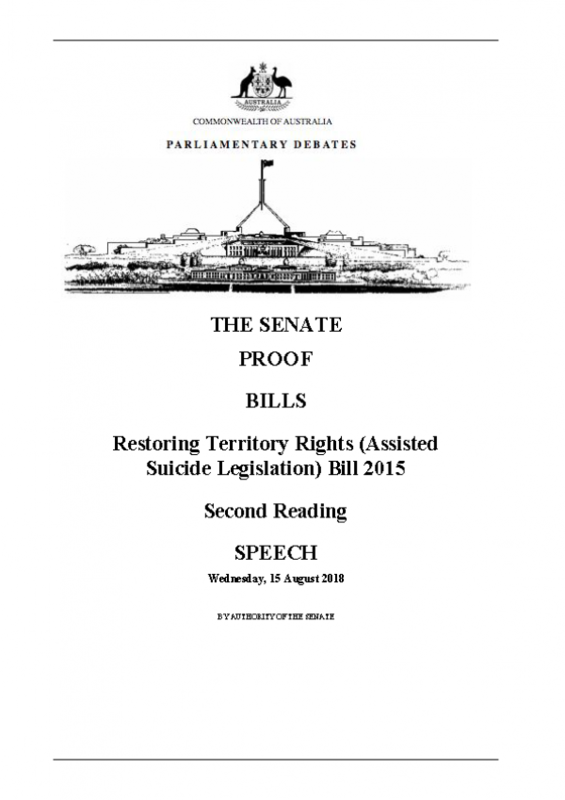 I rise to make my contribution to the Restoring Territory Rights (Assisted Suicide Legislation) Bill 2015. I acknowledge the contributions made by others in this debate,regardless of their perspective. I understand fully that there are very strongly held views on this matter. elections in Braddon before they can deliver on any of those promises. The Labor Party are starting to sound increasingly desperate in their arguments around this matter. I have to say the shrill presentation that we just heard from Senator Cameron is sounding desperate, and there is nobody on this side who will be lectured to by the Labor Party on economic management. 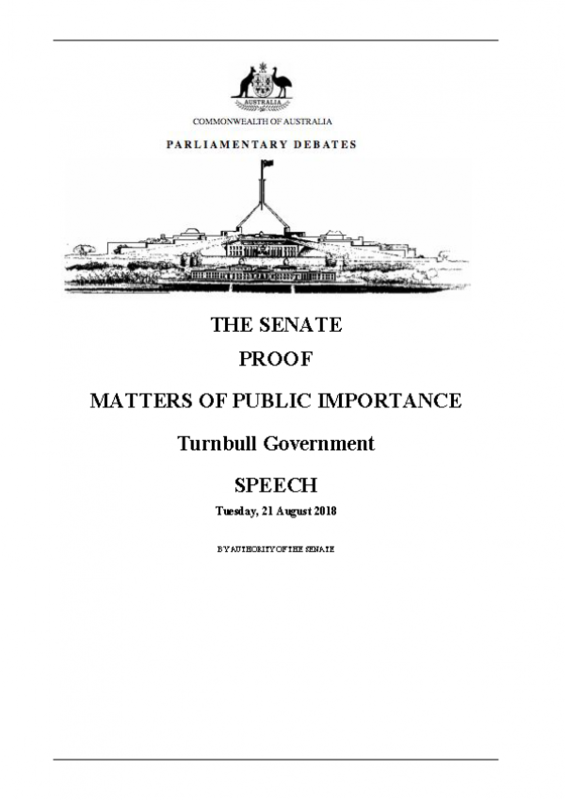 I think Senator Abetz was right to note that the only economic manager that the Labor Party were prepared to quote in their questions in question time today was former Treasurer Peter Costello. They can't find one of their own to quote. Perhaps they have an obsession with Treasurers from this side of the House - I'm not sure - but they could not find anybody else to quote. basically the buzzwords of how the Labor Party operated. I rise to speak to this motion not necessarily because I support it but because I think it deserves to be debated. It is an issue of concern for someone who spent 25 years working in the construction industry and who has seen the results of this at a practical level, as Senator Georgiou has expressed he has himself. In fact, we're probably rare beasts, alongside Senator Marshall, who was an electrician—is an electrician? I'm not sure whether he still has his licence. what Labor's policy is doing is taking away pensioners' and self-funded retirees' and part-pensioners' income. Copyright © 2019 Senator Richard Colbeck Authorised by Senator Richard Colbeck, 5-7 Best Street, Devonport Tasmania.